The students of Marjory Stoneman Douglas High School know the news cycle is fast and furious. Momentous stories that once would have dominated the news for weeks now only hold the nation’s attention for days or even hours. Survivors of the shooting that left 17 people dead in Parkland, Fla., on Valentine’s Day attended the 4A’s Accelerate conference in Miami with one goal in mind: keep the movement growing. “Keeping it in the media. Keeping it on TV. We don’t want to lose this momentum,” Parkland student Julia Cordover said about what she wants out of the advertising industry. The Female Quotient, a group committed to advancing equality in the workplace, invited the students to the conference. 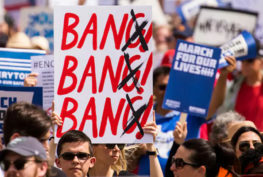 It was one of the first times that anyone in the advertising industry had reached out to them, though the Gun Safety Alliance, which includes business leaders in tech, media, entertainment and marketing helped support March for Our Lives and its follow-up efforts. Initially, the students planned to meet with a small group from the Female Quotient in a lounge at the Loews Miami Beach Hotel. 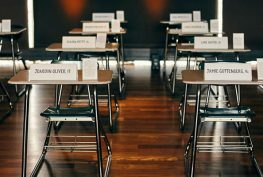 But as word spread about their invitation, the group and the 4A’s worked to give the students a larger space to address some of the ad industry’s most influential members. When the students made their appearance, they received a standing-room only reception. The talk featured 11 Stoneman Douglas students, filmmaker Jeff Vespa and Female Quotient CEO Shelley Zalis. For the most part, the panelists were not the students making headlines on TV and Twitter. Many, however, were in their classrooms when the shooter entered their school. One girl explained how she watched three of her classmates and friends die in front of her. The discussion left the audience in awe, in tears and inspired, ready to ask these students how they can help their movement. The students articulated a number of goals with a pitch that targeted the ad industry’s strengths. They were looking for funding to advance their cause, but they also wanted help amplifying their message through media buys and national PSAs. One student described the need for tech partners to help them build an app that records the views of every political candidate at the federal, state and local level. Another explained that they were in the market for more creative ways to send stronger, clearer messages with T-shirts that support their movement. 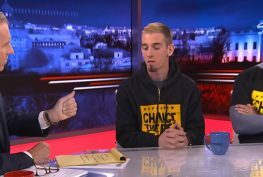 Vespa, who has been interviewing Parkland students for a video series called #WhatIf, said there was no better way for the students to build on their movement and amplify their message than to address a room of people who will spend approximately $600 billion on paid media placement this year. Following their discussion, Marla Kaplowitz, president of the 4A’s, recognized the opportunity at hand. “We are a tool to help people tell and amplify their stories. For the industry to be seen as a partner in cause-related storytelling is a powerful reminder that our industry is at its best when the creative muscle is used to impact and influence culture,” she said. “Seeing them in person and hearing their words, there are no words for it. It’s pretty moving and makes you want to do whatever you can,” said Jordan Gilbertson, associate director of communications planning at Butler, Shine, Stern & Partners, who wants to use her connections in the industry to help the students secure ad space and airtime. And that authenticity is something the group doesn’t want agencies to mess with. After speaking on a panel, the students headed upstairs to the hotel’s 17th floor, where they addressed FQ and a few select marketers over pizza, hoagies and soda. Trailing them was the documentary crew capturing the students’ interactions as they took in the stunning views of Miami Beach and the lounge, which featured portraits of some of Parkland’s most outspoken advocates like David Hogg and Emma Gonzalez. While it was a chance for the students to relax and be who they are—high school kids—when discussions about gun reform began, talks turned serious again. “I think they have really been successful in galvanizing a younger generation with this movement,” said Omari Allen, regional organizing manager at nonprofit The Brady Campaign & Center to Prevent Gun Violence. He pointed out how these students have been more successful at rallying young people than his group, which has been around for 30 years. While the students attended the 4A’s hoping the ad industry might provide them a platform to boost their message, they are very clear about what they want to achieve. Zeif also pitched the idea of building an app containing a database of candidates’ verified views in order to cut through what he described as misinformation on the internet. One of the main challenges they are up against is the NRA’s tremendous resources. Helman, who revealed tattoos with Dylan Kraemer that are dedicated to the friends and classmates they lost on Feb. 14, also explained to marketers how he wants to spread his cause’s message through the T-shirts they wear. Immediately, Zalis provided an actionable idea. Her group has developed Talkin’ Tees, which are T-shirts that display content like quotes or video messages in augmented reality when users snap a photo of them in the BlippAR app. Zalis expressed hope that an FQ partner would help make the technology mainstream. Aaliyah Eastmond, who spoke at the March for Our Lives rally in Washington, D.C., wants to engage in more rallies and is partnering with the New York-based group Youth Over Guns. She said the group plans to rally in front of Trump Tower in New York on June 2. During the panel, Ho-Shing explained how she wants to target inner cities and give youths in those communities the confidence to use their voices. She added that functioning locks at her school saved lives, but many schools in poorer communities lack something as simple as locks, and she wants advertisers to amplify the needs of those communities. Overall, the students’ messages and goals resonated with the marketers, not only because of what their message was, but because of what it wasn’t. As the night wrapped around 8 p.m., Zalis reminded everyone in the room that these activists are just kids, as she ushered them out the door to their buses, keeping a promise to their parents: They’ll be home in time to study for the SATs.